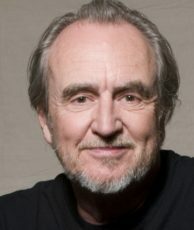 Wes Craven, who died at the age of 76 on August 30, 2015, was considered one of the masters of cinema’s horror genre. Best known for The Nightmare on Elm Street and Scream films, ,He was best known for two series of films, the Nightmare on Elm Street films, and the Scream series, which also served as an academic deconstruction of the genre. Starting life as a humanities professor, Wes Craven moved over to film as first a sound editor, and then film editor before turning to writing and directing with The Last House on the Left. Along with the first Nightmare film (and the deconstruction last New Nightmare entry), he directed all four Scream films, along with Red Eye, Cursed, The Serpent and the Rainbow, and the non-genre Meryl Streep vehicle, Music of the Heart. His first and only novel, “Fountain Society,” was published in 1999, and it was during his book tour that he stopped by KPFA where he was interviewed by Richard Wolinsky and Richard A. Lupoff. That interview was digitized and re-edited in 2017 by Richard Wolinsky.